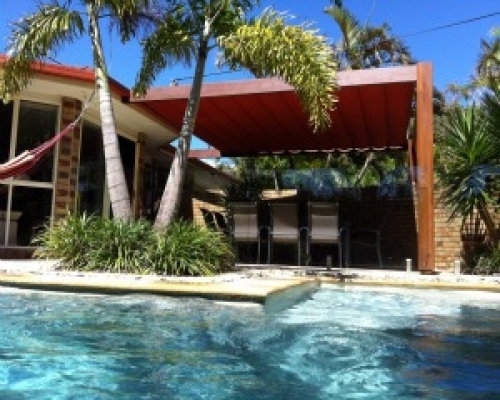 Supaview Security & Sunscreen are your local awning specialist on the Sunshine Coast. from commercial and architectural buildings and developments to residential and retail situations. Our showroom features a selection of the extensive range of awnings, blinds and other shade and weather options we have on offer. 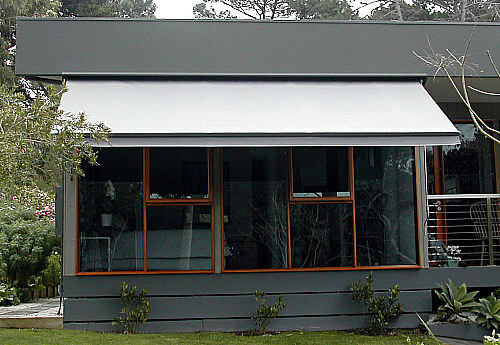 Awnings are mounted outside the home above a window, door or even patio area. 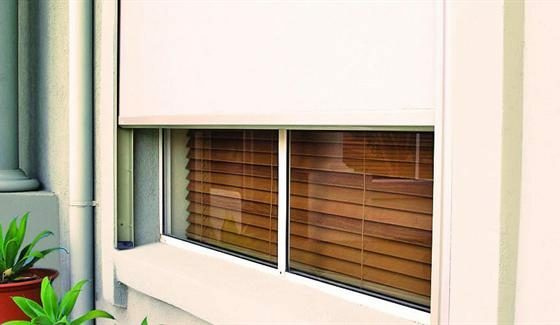 Whether you are looking to enhance the exterior look of you building with an awning or other shade solution or to reduce the heat in a way which is cheaper than internal fans or air conditioning solutions, with our wide range of awnings and other shade solutions, we’re sure to have something for you. Enable selective shading to be achieved – leave it down during hotter months and up in cooler periods during the year or even at different times of the day. Reduce the amount of sunlight and heat that enters the home and make the home more comfortable without using up your electricity bill on air-conditioning and ceiling fans. Can be printed on for branding purposes for commercial use. Reduce the amount of sunlight and reduce the risk of furniture and curtains fading. 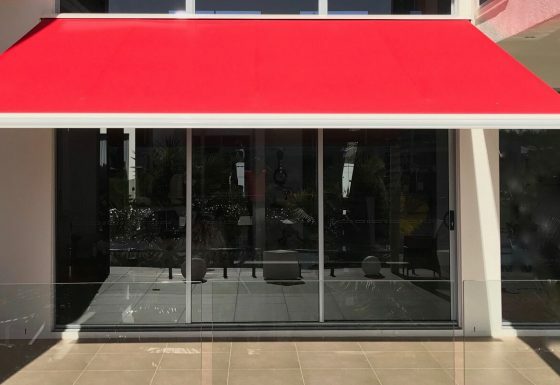 Because awnings will be subject to different weather conditions they are made from fabrics that will withstand even the harshest of conditions and come in a range of patterns and colours in stripes and plain fabrics. For commercial applications they can be sign-written to increase exposure and give your business a more professional look. 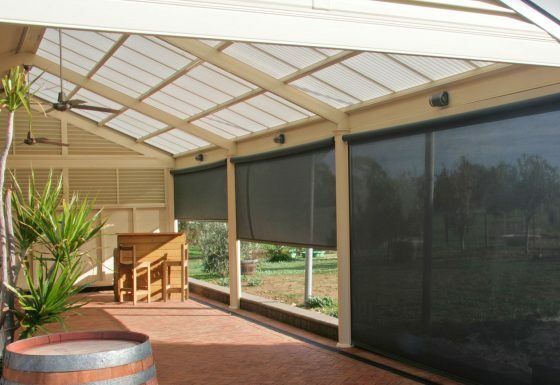 Retractable awnings have one side fixed to the wall and it can be extended or retracted when needed using a manually or electronically operated control. 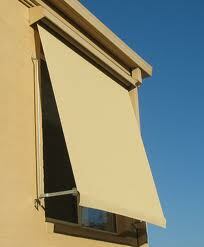 Fixed awnings have one side affixed to the wall with the other sides permanently supported by a metal framework. 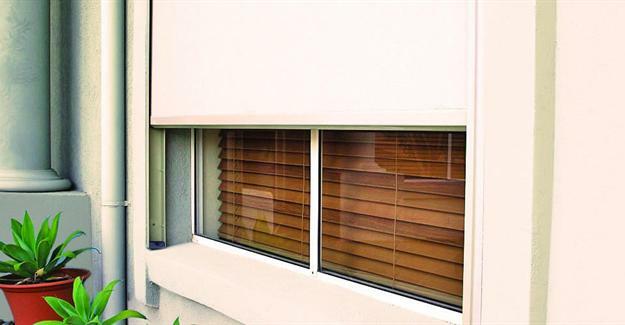 Custom designed awnings are one of our specialities and we have qualified designers and installers who look forward to working from your plans and specifications. Need it even easier? 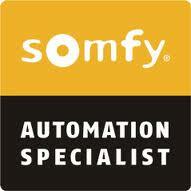 Put a Somfy motor in it. At Supaview we love it when our customers are exited about their Awnings and Blinds and this happens most often when we make them work with a remote control. 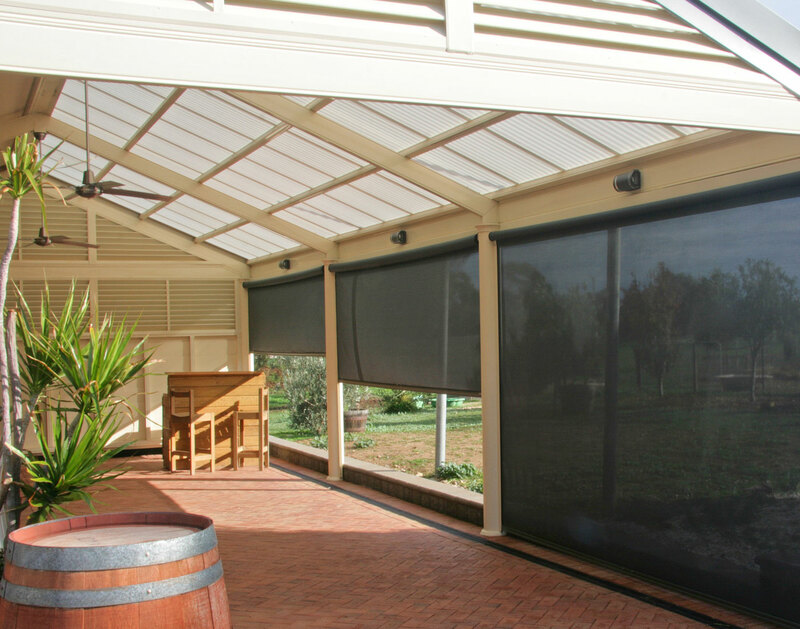 Motorisation of an awning or blind is becoming as common as a motorising garage door. 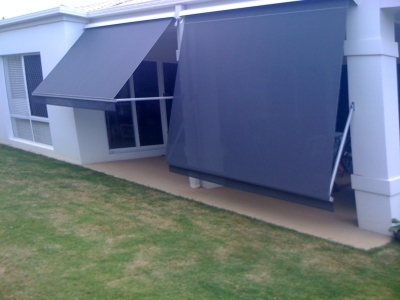 To operate your Awning or Blind all you need to do is press down or up and it will effortlessly move to the set up or down position. You can stop the Awning or blind anywhere by pressing the stop button.